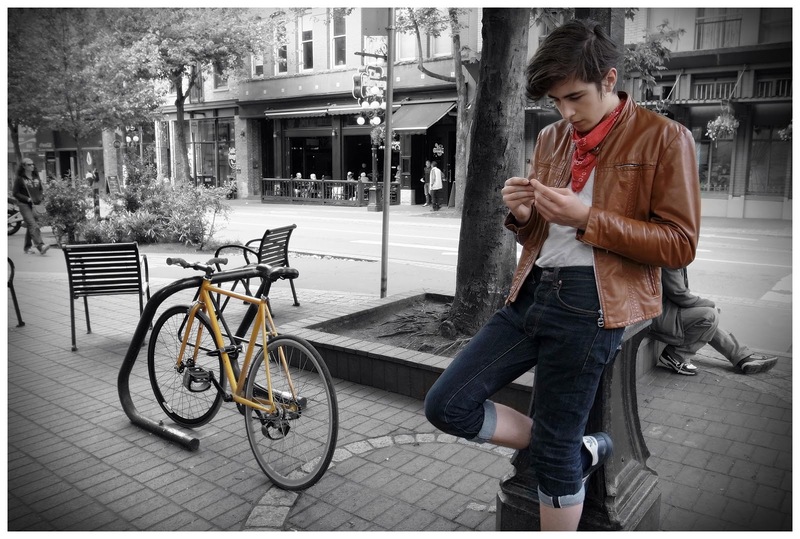 I was out testing both the Ricoh GR and GR-D IV when I saw a young hipster leaning up against a pole next to a hip yellow fixie. Cool shot I thought. I asked him if the bike was his and he said no. He didn't like the narrow handle bars, more show than function. We debated the merits of different handlebar shapes and configurations since we both like riding bikes, especially fixies. I asked Joseph if I could take a picture of him next to the bike since it seemed to match his style (in my eyes anyways) and he agreed. His pose was totally natural. I didn't ask him to move or stand in any particular way. The reason why he's looking down at his hands is because he's admiring one of my Moo business cards. Thanks for the shot Joseph. Perhaps I'll see you around on your bike next time. This picture was taken with the Ricoh GR D IV at F/2.8, 1/90 sec, iso 80. Is Bart Simpson a Working Graffiti Writer? Retail Store Ideas that are Too Specialized?